The John Fredericks Show delivers a high quality and demographically dynamic news talk listener and audience. News Talk listeners are well-informed, highly educated, affluent and engaged consumers…and in Virginia, they tune into the John Fredericks Show for news, information and news analysis and as a means to stay connected and involved with the Commonwealth of Virginia. Contact us, by completing the form below, and learn more about how the John Fredericks Show delivers a diverse audience across Virginia. Each market can be reached as a network (statewide) or in individual markets, which to eliminates waste and maximizes your advertising dollars. VIEW PROGRAM MEDIA KIT. 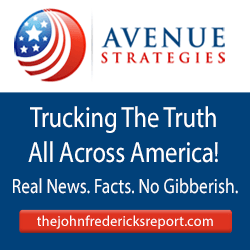 WHY ADVERTISE ON THE JOHN FREDERICKS SHOW? The John Fredericks Show audience is affluent and educated. They have substantial purchasing power and gravitate to products and services that align with their lifestyle. Even in difficult economic times, they support the businesses and companies that share similar values. 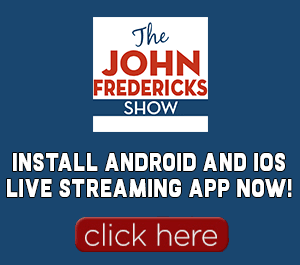 The John Fredericks Show offers insightful analysis and coupled with relevant issues for the Commonwealth of Virginia’s constituents. Our listeners don’t flip around the dial. They are loyal listeners with a genuine care and concern for the Commonwealth. They tune in to hear discussion key issues. Loyal listenership is a key for advertisement recall. Bringing together a daily morning show that interviews the Power Players and Rainmakers of the Commonwealth, and focuses on the Regional, State and National News makes The John Fredericks Show a morning destination whether in your car, office or home …with your coffee! Important and impactful interviews, insightful analysis and listener interaction & participation provides an ideal platform for engaging this attractive consumer prospect base. New/Talk information stations ranked #1 in the U.S, and streaming stations in these formats far exceeded any other format. They ranked prominently in highly educated, high-income listeners. …for a wide variety of reasons that used to require detailed explanation but have become increasingly self-evident, dollar-for-dollar, the advertiser trying to reach an adult audience will enjoy approximately three times the bang for their buck buying news/talk radio than music radio. If a company markets a product to the 50 plus market and that product does nothing but maintain its market share, it should increase sales by 35 to 50% over the next 20 years. To advertise or sponsor an event, contact John Fredericks at 757-692-1710 or email John Fredericks here.